For a country that’s linked so intrinsically with catenaccio, Italy has had its fair share of mavericks. From Mario Balotelli and Antonio Cassano to Ezio Vendrame and Paolo Rossi, calcio is rich with subversives and trendsetters. 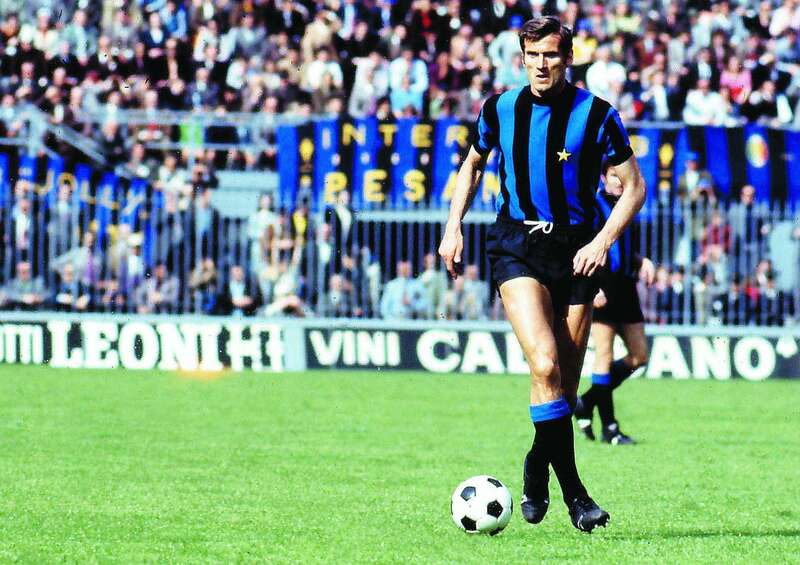 All of them, however, pale in comparison to Gianfranco Zigoni, the chain-smoking, gunslinging, womanising legend of Hellas Verona. The Vagabond, as he was affectionately known, was born into a peasant family in Oderzo in 1944. With his father working long hours at the local factory, he and his seven brothers were often left to their own devices. When he wasn’t out hunting with his trusty slingshot, Gianfranco would invariably be found at the local parish centre, sulking and slaloming his way through football games with the youth side. A devout follower of Che Guevara, Zigoni’s contempt for rules bleeds through his entire career. His disdain for authority is as long as his reading list – Nietzche, Kafka, Hesse and Baudelaire all take pride of place. When he was ordered, then, to cut his hair short by the Juventus coaches, he knew life in Turin wasn’t for him. The Juventus hierarchy agreed, dispatching the temperamental youngster on loan to Genoa in 1964. Given a starting berth by manager Paulo Amaral, Zigoni quickly captured the hearts of the Genovese support with his arrogant, extraordinary displays. After scoring the opener in a brilliant 2-1 victory over Sampdoria in the Derby della Lanterna, his place was undisputed. For all languid brilliance, however, Zigoni represented something of a luxury in a team that was struggling for survival. In the end, his eight goals – including another winner against Sampdoria and a hat-trick against AC Milan – weren’t enough to stop Genoa from being relegated. Suddenly, his missed penalty against Roma on matchday 28 felt achingly significant. Sampdoria had finished just one point above them in 17th. Desperate to make up for his role in the club’s demise, not to mention wary at the prospect of a return to Juventus, Zigoni stuck around the next season as Genoa pursued an immediate return to Serie A. When that failed he trudged back to the Stadio delle Alpi hoping for a fresh start. His hopes were aided, in part, by the Italian Football Federation’s drastic reaction to the 1966 World Cup. Nauseated by the Azzurri’s defeat to North Korea, the Italians placed a total ban on the recruitment of foreign players. Zigoni returned to a squad containing the likes of Franco Causio and Luís Del Sol, making routine appearances as the Bianconeri pipped Internazionale to the title on the last day of the season. It had been another tumultuous year for Zigo, who had clashed repeatedly with the dictatorial Paraguayan manager Heriberto Herrera. After one particularly poor showing against Olympiacos in the European Cup, he’d returned to the dressing room only to receive a punch in the gut from his irate manager. Incensed, he’d had to be pulled away before a brawl ensued. “Heriberto mentally destroyed me,” Zigoni would later admit to Gazzetta dello Sport. “Playing for him,” he railed, “was like a concentration camp.” After just 14 appearances the following season, their short and unhappy marriage ended. Roma made an offer and Juventus and Herrera were only too happy to accept. In the capital, things went from bad to worse. Rumours began circulating that Zigoni was romantically involved with his coach’s wife, rumours he always maintained were untrue. When he wasn’t pursuing women or smoking 40 Marlboro a day, Zigoni wiled away the time with another one of his passions – guns. The proud owner of a Colt 45, he would routinely fire shots off at the streetlights when he was bored. A friendly encounter with Brazilian side Santos served to prick his galactic ego. The Brazilians landed in Rome in March 1972, playing the Giallorossi as part of a whistlestop tour of the peninsula. “What a player,” Zigoni marvelled after seeing Pelé for the first time. Witnessing O Rei in the flesh sent him into an unusually introspective mood. He’d even considered retiring on the spot, so deflated was he by Pelé’s majesty. After scoring the winning goal in the Anglo-Italian Cup in 1972, Zigoni was moved on once more, joining provincial lowlights Hellas Verona. It was a move completed very much against his wishes, a forced separation from the women and the glamour and the nightlife of the capital. The anecdotes about Zigoni’s stint in Verona stretch the limits of credulity. There are simply too many to recount. Like, for example, the time he lost control of his car on the way home from training, crashing into a ditch and playing dead only to lift his head and smile as the terrified paramedics attended to him. Or when he took a rather direct approach to contract negotiations, lifting a gun out of the Verona chairman Saverio Garonzi’s drawer and refusing to leave until he’d secured improved terms. Or the time he was suspended and fined six month’s salary for suggesting that a linesman place his flag in an unseemly orifice. 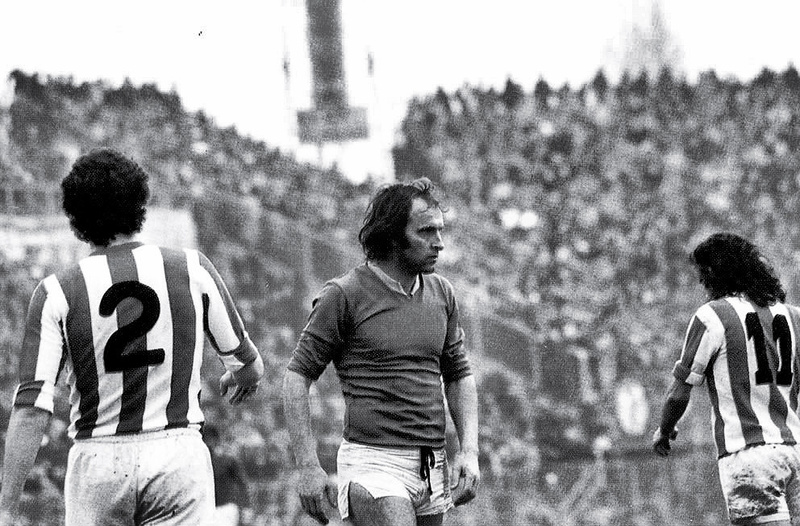 Zigoni’s most memorable act, however, would arrive in the build-up to a game against Fiorentina in 1976. Advised by manager Ferruccio Valcareggi that he was being dropped from the starting line-up, he launched a bizarre protest the saw him sit in the dugout wearing a cowboy hat and a billowing white fur coat. The game itself was an afterthought as he sat, arms folded, with a pair of brooding eyes emerging from underneath his Stetson. Later, his teammate Franco Nanni would suggest that the whole thing had been a dare. Why would Hellas indulge such antics? How could they entertain a man who boasted, with no hint of self-deprecation, that “without women, wine and pistols I would have been stronger than Pele”? Quite simply, his performances were so good that he could do what he wanted. There were no qualms about his ability to sleep in until midday whenever the rest of the squad had to be up early. There were no eyebrows raised when he made a young Francesco Guidolin, his wide-eyed young roommate and the future manager of Swansea and Udinese, bring him breakfast in bed. Zigo was a god in Verona. A heavy-drinking, womanising, lazy God – but a God nevertheless. 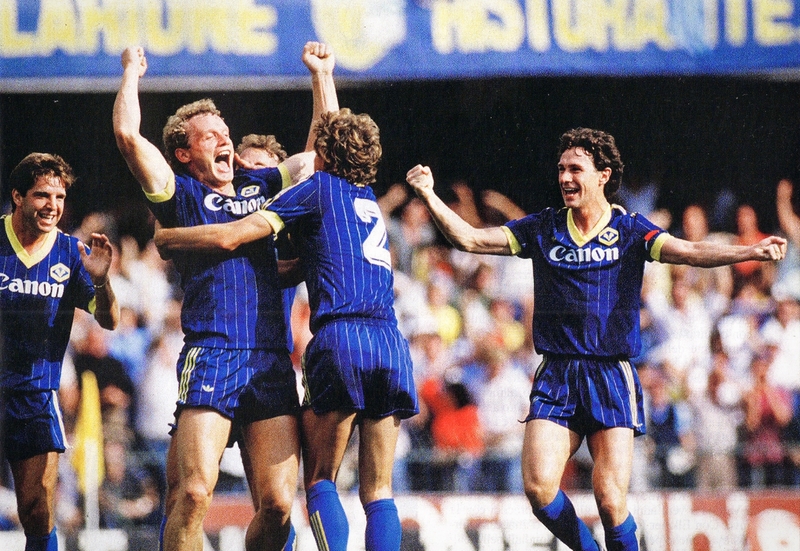 When Brescia faced Verona in 1980, he simply refused to play. Several stints in the lower leagues followed, before Zigoni finally retired at the age of 43. He has always maintained that he has no regrets about his career, a profession that feels genuine. There are some, however, who wonder about the player he might have been had he dedicated himself more fully to the game. Zigoni made just one appearance for the Azzurri, a meaningless 1-0 win away to Romania in 1967, before complaining to manager Valcareggi that he would only accept a future call-up if he was guaranteed to start. Needless to say, he was never called again. That flamboyance and devil-may-care attitude might have made Zigoni fascinating but it often got in the way of what could have been a far more illustrious career. Systems, rules and orders, however, were never Zigoni’s style. Moments of genius, flashes of impulsive brilliance and wild seconds of inspiration were his currency. 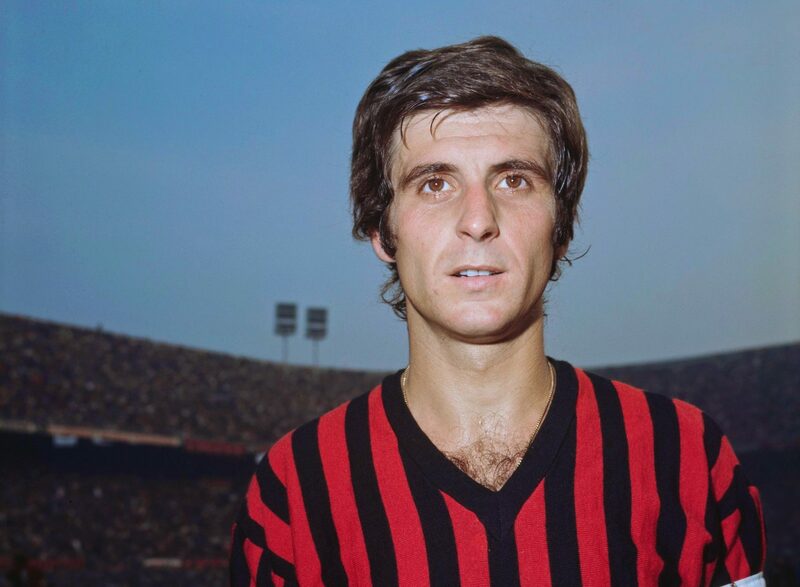 In a country that clings instinctively to its catenaccio heritage, Zigoni was a wild-haired and hedonistic rule-breaker, a twitcher of eyebrows and a raiser of pulses. His legacy at Verona, where he is still worshipped to this day, says enough about whether his career was fulfilled. He might not have won the titles or the admiration of some of his contemporaries, but in Veneto, he is a defiant and dashing legend.